Distinctive Styling offers convenient and affordable online design consultations with customized interior design and decorating plans for homes and small offices. Our E-Design services allow anyone in the country to get professional decorating advice and access to interior design products without the cost of in-home visits. We make it easy for clients to get decorating ideas, direction for do-it-yourself projects, or more detailed instruction with visual boards and floor plans to complete their interior design. 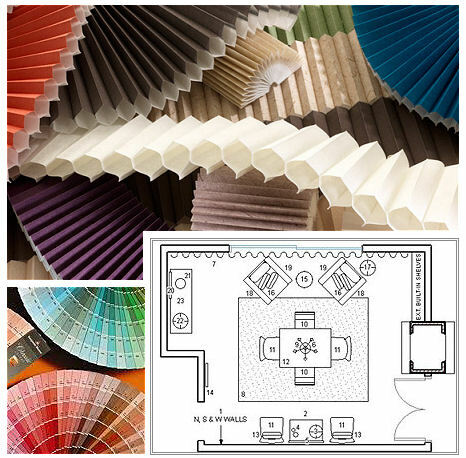 Whether you are looking to redecorate a room in your home, stage your house for sale, or need help in choosing paint colors, we will guide you through the design process at a pace you are comfortable with. 2. Once we receive your e-design request, we will contact you by phone or email for information about your project and details about your space including measurements and photographs that you will email to us. 3. Depending on your project, your request should be completed in about 2 weeks. Color schemes may be provided sooner. We will provide recommendations that may include floor plans, style boards, resources and shopping lists sent to you by email.